There’s a reason why corporate event planners come back to NRG Music and Productions year after year. Over the last two decades, NRG has earned a reputation for providing the best corporate entertainment in the industry. 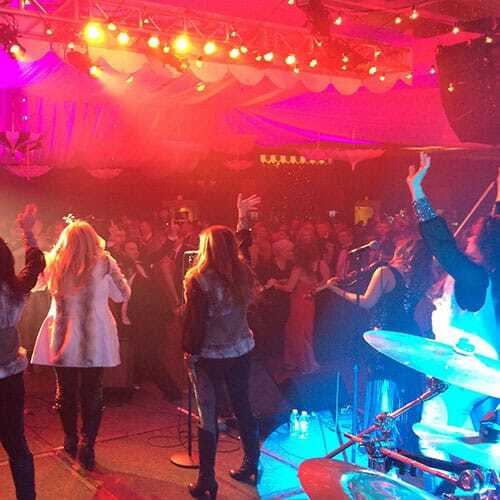 Our Fortune 500 clients rely on us to provide high quality, high-energy, professional entertainment for company parties, holiday celebrations, award programs, and other milestone events. Clients like Johnson & Johnson and American Express continue to book with us because we’re passionate about providing fresh, engaging, and reliable talent that satisfies a range of audiences and tastes. Book the Best Live Entertainment for your Corporate Event Today! If you’re not sure where to start, we can help. With over 20 years of experience in hosting some of the best corporate events, we’re able provide suggestions that will match your vision and budget. Not sure if your guests will be up for dancing? Think that classical music might be too stuffy for your team? Or maybe you’re eager to surprise your guests with entertainment that’s fresh and engaging. Whatever your goals, we’ll work to plan a performance that provides the right balance of energy, professionalism, and style that will leave the whole room smiling. Take the stress out of this year’s holiday celebrations and have NRG Music & Productions simplify your party planning process. 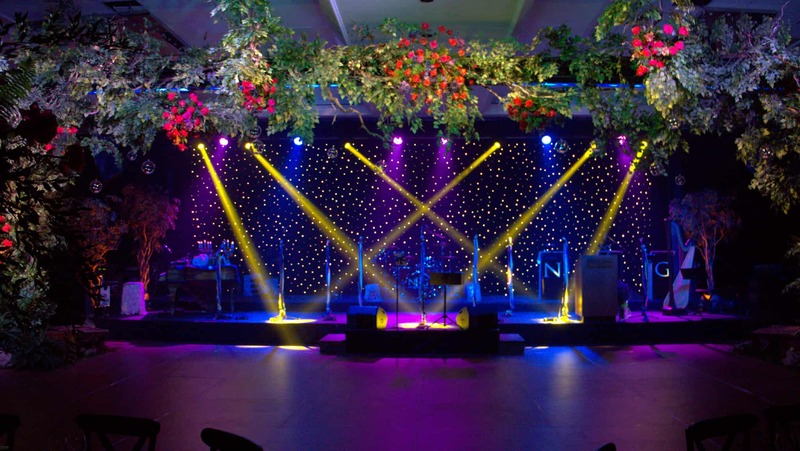 From lighting, sound, visuals, MCs, and dancing, we offer a comprehensive entertainment solution that will have your guests laughing merrily all the way home. Many clients come to us wanting something unique. We can create custom music scores that perfectly reflect the tone and character of your company and your event. Or, if the goal is to inject a little humor into the night, our team of entertainers are ready to produce the perfect skit that captures your company’s sense of humor, bringing a light-hearted tone to the occasion. We know that nothing kills the mood more than overplayed songs and outdated performances. That’s why our performers are constantly updating their sets, concepts, and entertainment styles. Our performers are passionate about what they do, and strive to deliver fresh and creative routines that will exceed your guests’ expectations. Some of our most-popular events are themed shows. From Amadeus to ZZ Top, we have amazing theme shows and productions featuring live entertainers, customized video and fantastic costuming . This unique offering provides an engaging and exciting basis for the whole night. We understand that corporate entertainment needs to be flawless, professional, and most importantly, reliable. That’s one of the benefits in booking corporate entertainment with NRG Music & Productions. We have an entire team ready to make sure your occasion goes off without a hitch. At NRG we have a wide range of corporate entertainment options. One of our popular options for a low key evening for a corporate dinner or a high energy evening with a twist is our Orchestra. We can play a wide range of music including classic waltzes to contemporary hits. 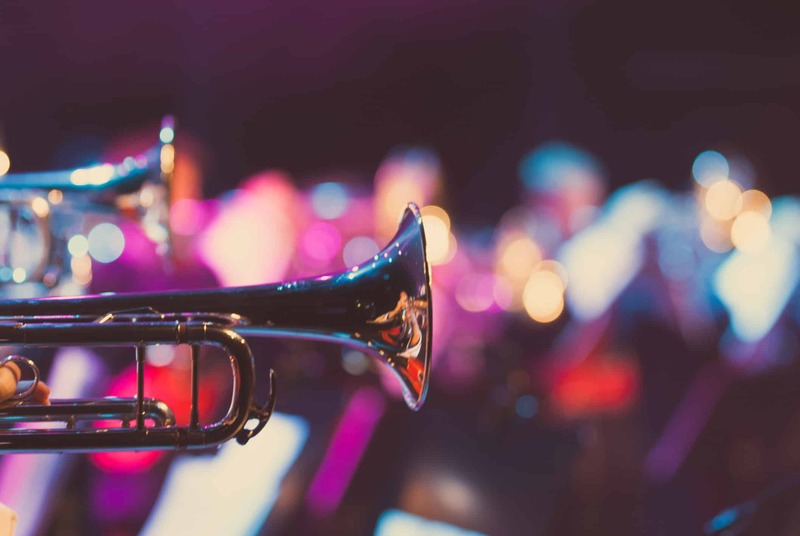 Our musicians are some of the most talented in the corporate entertainment business and are sure to be a hit for your next event. Want to learn more about our options for Bands and Orchestras for Live Corporate Events? Watch some of our videos now to see if this is a good fit for your next corporate event. Looking for a patriotic tribute for your next corporate event? You will love our USO Themed Shows for Corporate Events! This themed show is an inspiring and fun tribute to the members of our armed forces. The idea behind this USO Themed Show is to celebrate the American Dream, featuring music and costumes from the 1940's up to present day America. This is the perfect show for some of the area's classic venues like the USS Midway, Miramar Air Base, or the Air and Space Museum. Want to learn more about our USO Themed shows for corporate event entertainment? Check out some of videos and more information HERE. Everyone loves a great dueling piano show! At NRG we have been perfecting our dueling piano show for over 2 decades and it is always a hit! We even offer a twist on the traditional dueling pianos format with dueling pianos on fire. This event is sure to get the crowd going at your next corporate event! Over the years we have learned a huge catalog of music to play at this fun live event allowing us to even take requests from your guests. Want to learn more about dueling pianos on fire for your corporate event entertainment? Check out some of our videos HERE. Need a DJ, VL, or Live DJ for your next corporate event? At NRG we are guaranteed to get the dance floor moving. We have been in the corporate event entertainment business for over two decades and have a long list of satisfied clients that love our DJ, VJ, and DJ Live shoes for their corporate events! Whether it is a small corporate gathering or a huge corporate event we are sure to be a crowd pleasers for your guests! Want to learn more about our DJ for corporate events? Check out our videos and more information HERE. AT NRG we have over two decades providing top-notch audio video production for corporate events! For your corporate event entertainment, we will provide reliable, high-performance equipment to ensure that your event looks and sounds incredible! Our team has extensive experience working with AV equipment for corporate events and will always be timely and professional from start to finish. Want to learn more about our Audio Video Production for corporate events? Learn more HERE!